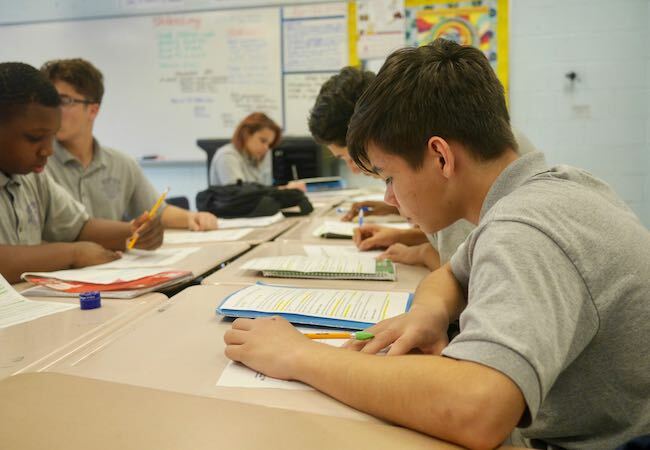 Three of Penn GSE’s closest partnership schools made the School District of Philadelphia’s “Best and Most Promising” list this year, with West Philadelphia’s Penn Alexander named the top-scoring K-8 school in the city. The School District of Philadelphia’s (SDP) “school progress report” scores include standardized test scores, school climate, attendance, and other measures. Students raise their hands in a Penn Alexander class. Penn Alexander, formally known as Sadie Tanner Mossell Alexander School, was named the top K-8 school in the District. Rated as a “Model” school – the highest rating possible – in all categories, the school’s high score was buoyed by a rise in growth in standardized assessment scores. Michael Farrell was named principal to the school in the fall of 2016. Connections to Penn GSE: The school is the result of a historic partnership of the University of Pennsylvania, the School District of Philadelphia, and the Philadelphia Federation of Teachers to build a model university-assisted, K-8 public school for West Philadelphia children. In addition to a full-time Penn-supported partnership liaison, Penn GSE provides teaching interns, TESOL teacher-interns, an after-school math club, app-building/STEM activities, and many other supports. Nine of the school’s teachers and administrators are Penn GSE alums. 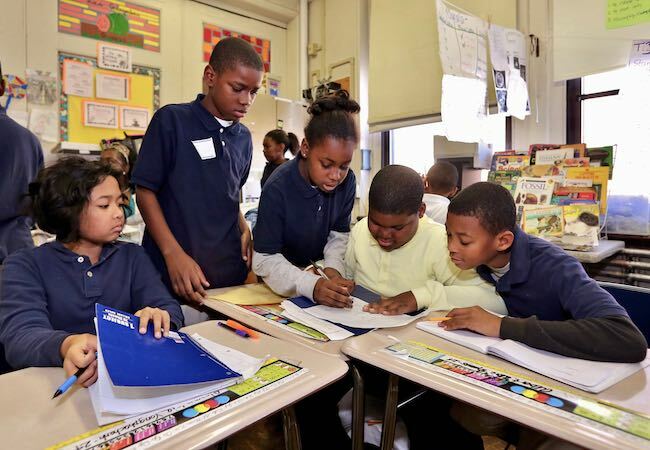 Students in a Henry C. Lea School class work together on an assignment. Henry C. Lea School moved up in all categories – most significantly experiencing a 74% jump in growth in standardized assessment scores over the past three years – and is now rated in the “Reinforce” tier, which is the second-highest possible category. ShaVon Savage was named principal in the fall of 2016. Connections to Penn GSE: Penn began working with West Philadelphia’s Henry C. Lea School in the 1960s, and deepened the partnership in 2013 – including the provision of a Penn-supported full-time liaison to the school. 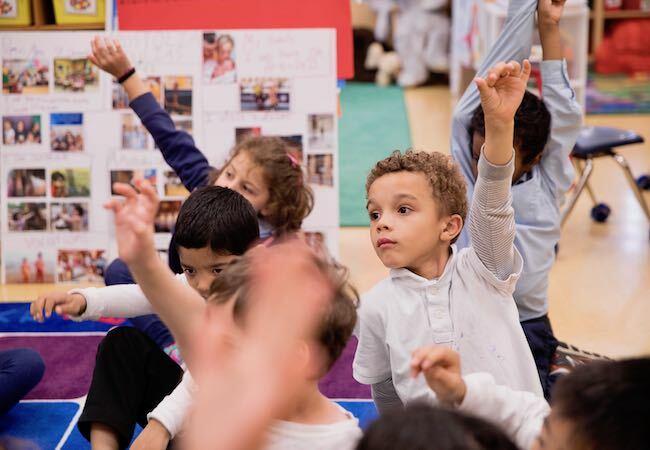 Today, 16 organizations across Penn – including GSE and the Netter Center for Community Partnerships – operate some 40 different school day and after-school programs at Lea. The Lea partnership model, which incorporates over 50 total partner programs, is focused on integrating University resources along with community and parent efforts, to move the school towards what Principal Savage envisions as a community school that supports excellence for all. Principal Savage and two teachers are Penn GSE alums, while three other staff, including the Penn liaison, are graduates of the University. Students at Kensingon Health Science Academy solve problems. Kensington Health Science Academy (KHSA) was recognized for three years of steady progress. The school has moved out of “Intervene” status, with rising scores in all categories – most significantly with a two-tier jump from “Intervene” to “Reinforce” in school climate. Principal Nimet Eren was named to her role in the fall of 2017. Connections to Penn GSE: KHSA is a Penn Futures partnership site, where students from the Graduate School of Education, School of Nursing, and School of Social Policy & Practice serve as uniquely collaborative interns providing classroom support, counseling, and health education. The Penn Futures Project is a partnership among three Penn schools to address the challenges facing marginalized children and their families. Principal Eren is a Penn GSE doctoral student and was named to the position in 2017 after serving as assistant principal. The school’s two counselors as well as two of its teachers are Penn GSE alums. To find out more about Penn GSE’s involvement in Philadelphia schools – in every catchment in the city – view our heat map.